Symptomatic epilepsy is a disease caused by organic brain damage. It’s only recently that 4-year-old Matvei Chernyaev has said his first word – “ma-ma”, and begun to crawl. 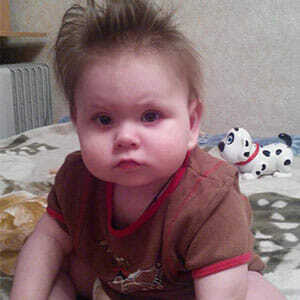 The boy suffers from the disease, belarusian doctors are unable to diagnose. At birth Matvei was like a real giant with his weight of almost 4 kg. However, it wasn’t a panacea for all the woes. The boy had a clavicular fracture at birth. After 8 days, that he spent in hospital, Matvei was finally discharged. But in 3 months he was hospitalized again. “My son began rolling his eyes. All the test results were perfectly normal. We were discharged with a plenty of prescriptions, but without a diagnosis. Matvei behaved strangely: he ate, slept, and did nothing else”,- says Oksana, Matvei’s mother. Only at the age of 2, the boy was diagnosed with epilepsy, despite the fact that there were no symptoms of the disease: no seizures, no staring spells or numbness. Even now there’re no characteristic symptoms of epilepsy. It goes without saying that the proper medical treatment is impossible without the accurate diagnosis. “It breaks my heart to see that despite all our efforts nothing has changed, my son is not getting better. Every new examination brings only new and new prescriptions, without any diagnosis. What’s the use? The only thing we want to know is the accurate diagnosis of our son”. Matvei can undergo the needed medical examination in German clinic Diakonie Kork. Its price amounts to 21 000 Euro. It’s the only hope for the family to know what’s going on with the boy and finally start the required treatment. Let’s give Matvei a chance on a “healthy life”!